In early 1887, Kreuger returned from France, where he had been living for six years. That autumn, he and his wife Bertha moved to Varberg. This view of a rainy street is from the year after and resembles Kreuger’s paintings from his time in France. 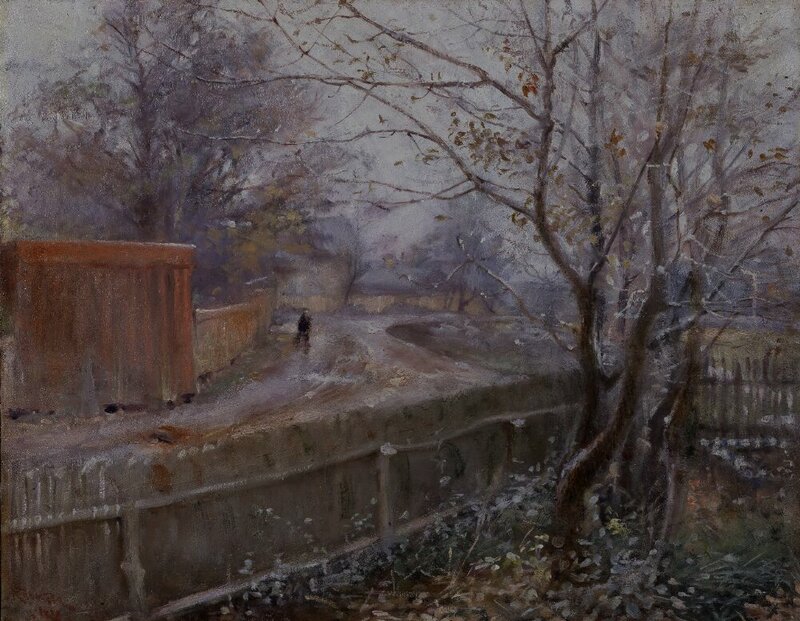 The fence in the foreground forms a diagonal, drawing the viewer’s gaze into the picture. The grey tones convey a strong sense of dampness and a chilly breeze, with wooden houses and almost-bare trees. A solitary figure struggles against the wind along the red hoarding.